Professional Supplement Center now carries Organic Fiji, a line of unique artisanal personal care products. Inspired by the daily routines, beauty regimes, family health, personal care traditions, and diet of the Fiji islanders, all products are formulated with USDA Certified organic, cold pressed, extra virgin coconut oil. The uncompromised quality and cleanliness of the ingredients is supported by a cold pressed extraction method, which maintains the molecular structure of the oil, as well as the beneficial compounds. As one of nature’s most valuable gifts, coconut oil intensely nourishes and moisturizes the skin, hair and body, and provides the wholesome the benefits of lauric acid and medium chain triglycerides. Graced with antioxidant, anti-fungal, and anti-viral properties, coconut oil works as a healing agent to provide pure and holistically wholesome truly natural whole body wellness. 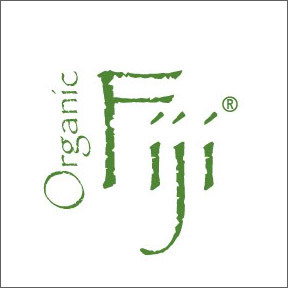 Organic Fiji’s clean, sustainable, socially responsible and environmentally friendly plantation operates under fair trade ethics offering fair wages and supporting local communities. These top quality products are USDA Certified organic, Certified Kosher, vegan and cruelty free. All products are free of sulfates, phthalates, toxic chemicals, and artificial ingredients. Face and Body Coconut Oil Soap Awapuhi Seaberry: This wonderfully fragrant, chemical free organic coconut oil soap is handcrafted using a 400 year old Fijian recipe. Simple ingredients of saponified cold pressed extra virgin coconut oil and Awapuhi Seaberry essential oils deliver a rich creamy lather and leave skin feeling rejuvenated, nourished and cleansed. Suitable for all skin types including sensitive and irritated skin. This soap may also be used to cleanse hair, making it a very convenient travel companion. Additional fragrances: Cucumber Melon, Lavender, Lemongrass Tangerine, Pineapple Coconut, Tea Tree Spearmint and Fragrance Free. Face & Body Lotion Night Blooming Jasmine: This artisanal tropical organic coconut lotion soothes, moisturizers and nourishes the skin. Island inspired and crafted with organic ingredients and essential oils, this aromatic skin quenching lotion revitalizes the face and body with each use. Additional fragrances: Awapuhi Seaberry, Cucumber Melon, Lavender, Lemongrass Tangerine, Pineapple Coconut and Fragrance Free. Nourishing Lotion Tea Tree Spearmint: This eczema and psoriasis therapy lotion nourishes and heals the skin with timeless ingredients that include organic coconut oil, aromatic plant extracts, and essential oils that work synergistically to replenish the face and body. Raw Oil Fragrance Free: Utilized for natural health and wellness in island cultures for generations, this 100% extra virgin, cold pressed, raw, unscented organic coconut oil is ideal for baby’s skin, sensitive skin and tender skin conditions, and may also be used hair and scalp treatments, and makeup removal. Scented raw oils include: Lavender, Lemongrass Tangerine and Pineapple Coconut. This entry was posted in Home and tagged Face & Body Lotion Night Blooming Jasmine, Face and Body Coconut Oil Soap Awapuhi Seaberry, Nourishing Lotion Tea Tree Spearmint, Organic Fiji – Featured Brand, Professional Supplement Center, Raw Oil Fragrance Free, Vitamins and supplements, www.professionalsupplementcenter.com. Bookmark the permalink.